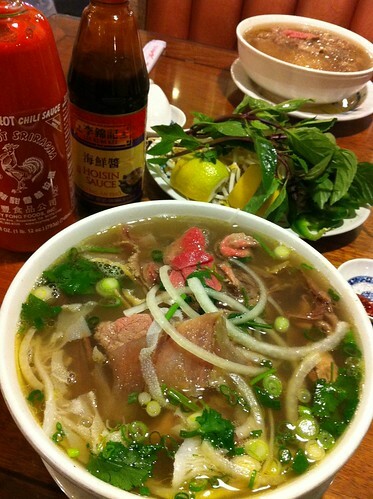 PIC: Pho at New Noodle City on Valley Blvd in Alhambra, originally uploaded by @jozjozjoz. Special Combo with rare slices of steak, well done brisket, flank tendon & tripe. The jozjozjoz.com archives for Saturday, March 5th, 2011.